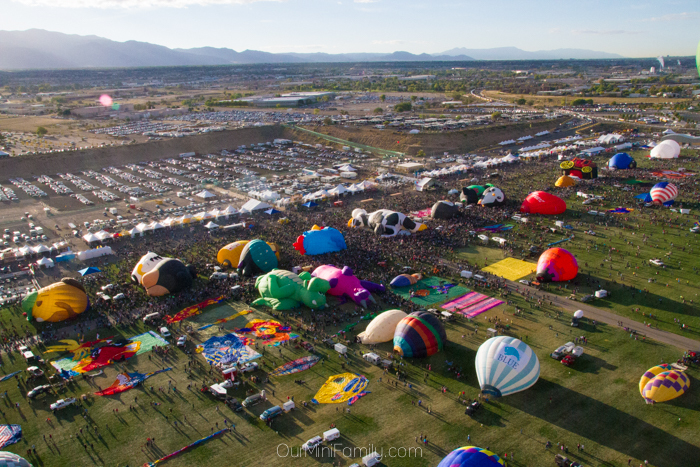 Hundreds of colorful, unique hot air balloons fill the sky as we ascend in our very own hot air balloon ride at the International Balloon Fiesta in Albuquerque, New Mexico! 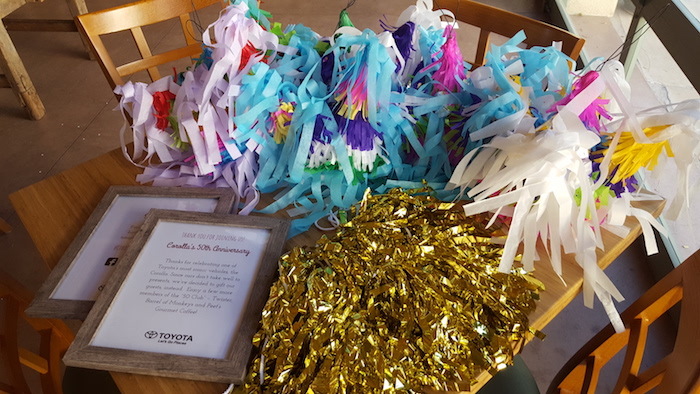 Earlier this month, Toyota invited me to help them celebrate the Toyota Corolla's 50th Anniversary by taking a road trip from Phoenix to Albuquerque to attend the International Balloon Fiesta! 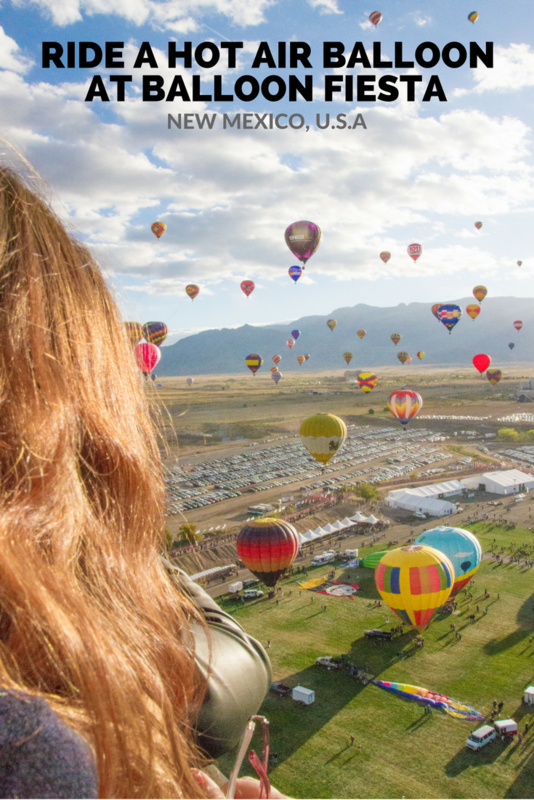 Naturally, because my mom and I are so close, I invited her to join me on this trip (since I know she has always wanted to ride a hot air balloon and never had the chance!) 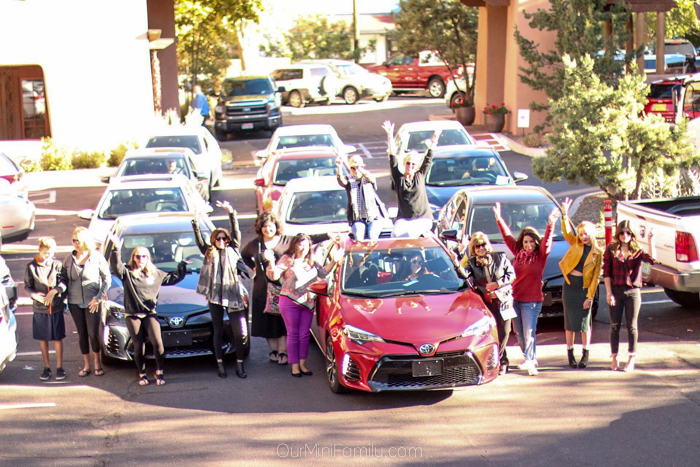 After many hours in the car with my mom filled with chatting, laughing, singing along to our favorite songs on the Toyota Corolla's Entune™ Audio, we finally arrived in Santa Fe to meet up with our Toyota travel group! We enjoyed a happy hour get-together and we got to know some of the women from our trip a little bit better. After some snacks and a glass of wine, we headed to bed very early since we knew we needed to get our rest for our day at the Balloon Fiesta the next day. 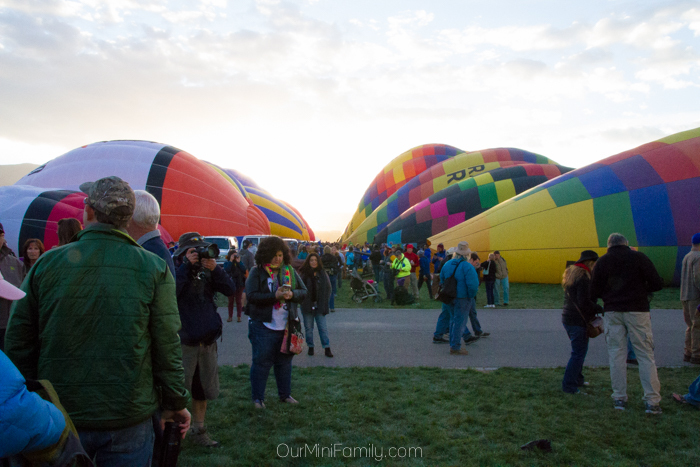 Our journey to the International Balloon Fiesta began very early the next morning--we drove about an hour from our hotel and arrived at the fairgrounds just in time to admire the gorgeous, Southwest sunrise. After checking in with the Rainbow Ryders and preparing for our hot air balloon ride, we gathered around our pilot who kept us informed of weather updates until we were safe and ready to take flight! My mom, pictured above, was so excited to ride in the hot air balloon! 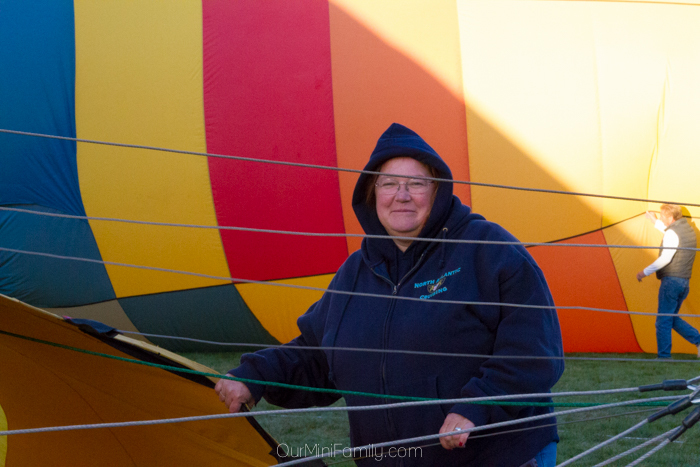 I felt like I couldn't stop smiling once I watched her help the crew get the hot air balloon ready for our ride--I am so glad I snapped this photo of her to capture this moment! 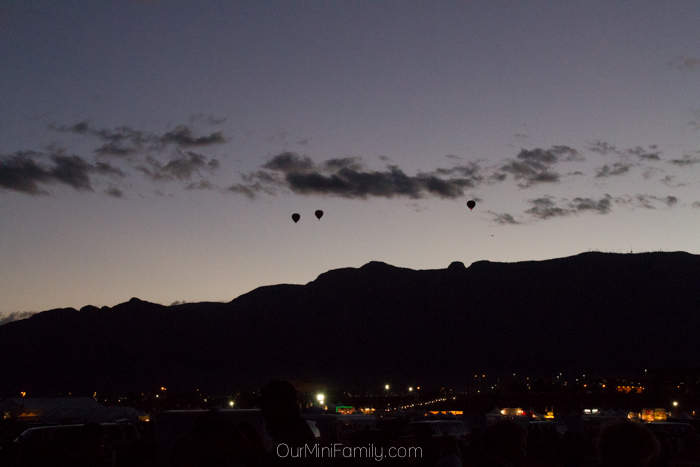 Watching all of the other hot air balloons inflate and ignite their engines around us was a marvelous sight! The crowds began to form as all of the balloons became fully inflated, and some of the balloons started to take off one by one. Almost everyone in our Toyota travel group rode in the same balloon (minus about 6 of us), after we went over our instructions from our pilot about how to land and other safety procedures. 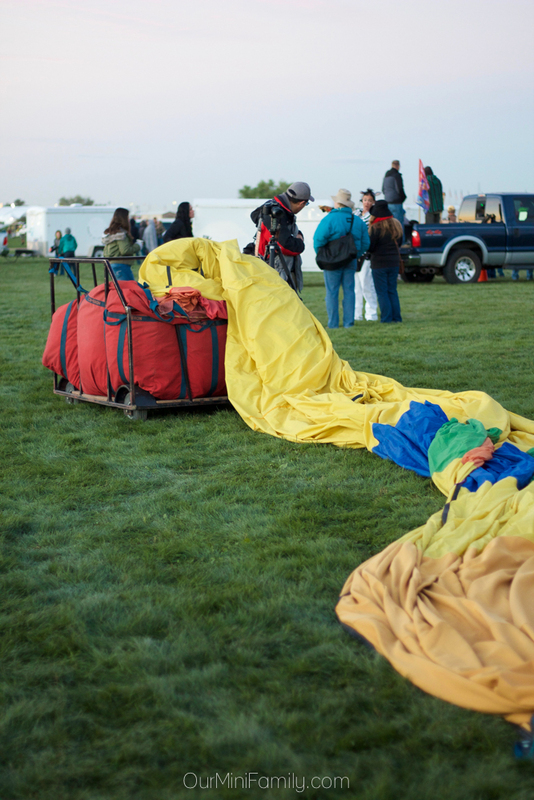 Once we got the all-clear from the safety workers on the ground with us, our pilot took off and we admired the beauty of the Balloon Fiesta from above! 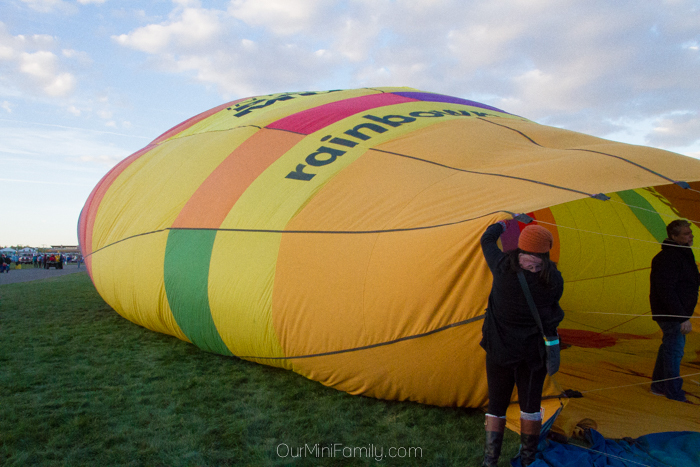 To say that it was a beautiful hot air balloon ride would be an understatement! Riding in a hot air balloon was unreal! 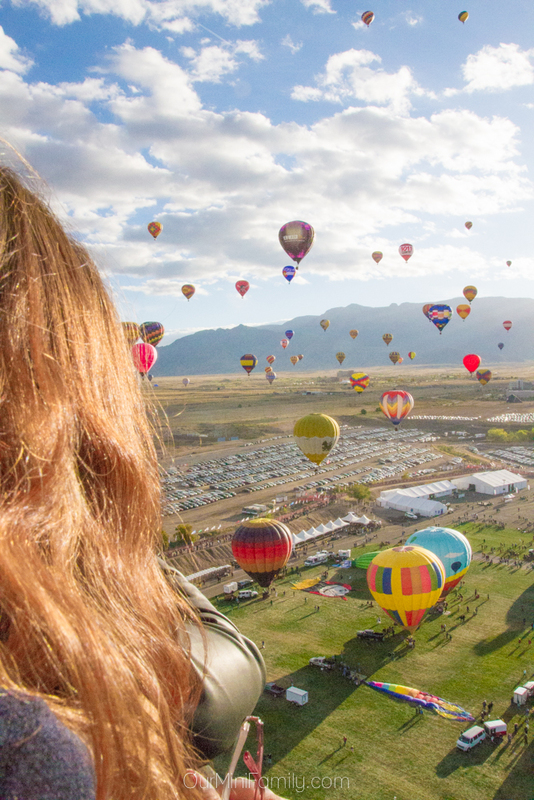 Being a couple of thousands of feet up in the air next to other balloons, feeling the warmth of the sun on my skin--it was such an awesome experience! 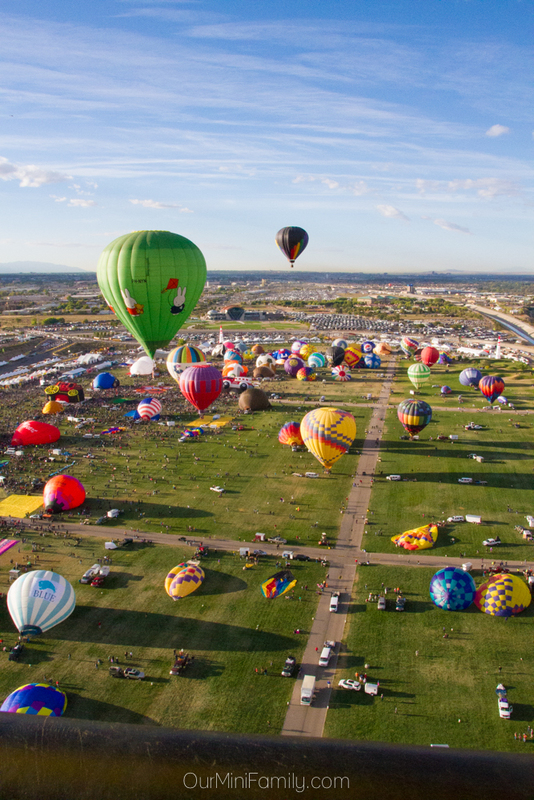 I loved everything about how beautiful everything was and being able to admire the fairgrounds and all of Albuquerque from so high up was remarkable. Our landing was memorable, too! Our awesome pilot prepared us once the wind changed direction, and we knew that our landing would be about as graceful as I am on ice--it was a safe landing, but it was pretty hilarious when we all toppled over in the basket. Our pilot snapped this photo of us while we were all still lying sideways in our basket! 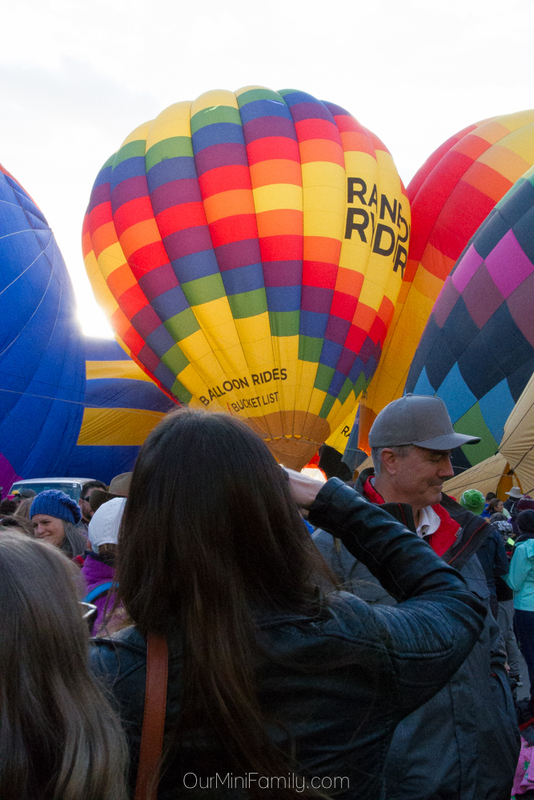 After the excitement of our group balloon ride, we jumped in a van and drove back to the Balloon Fiesta to enjoy some bubbly with our awesome hot air balloon pilot. Then, we took a few more hours at the fairgrounds to explore some of the other attractions and vendors. Once we headed back to our hotel that afternoon, we got ready for the Toyota Corolla's 50th birthday dinner! 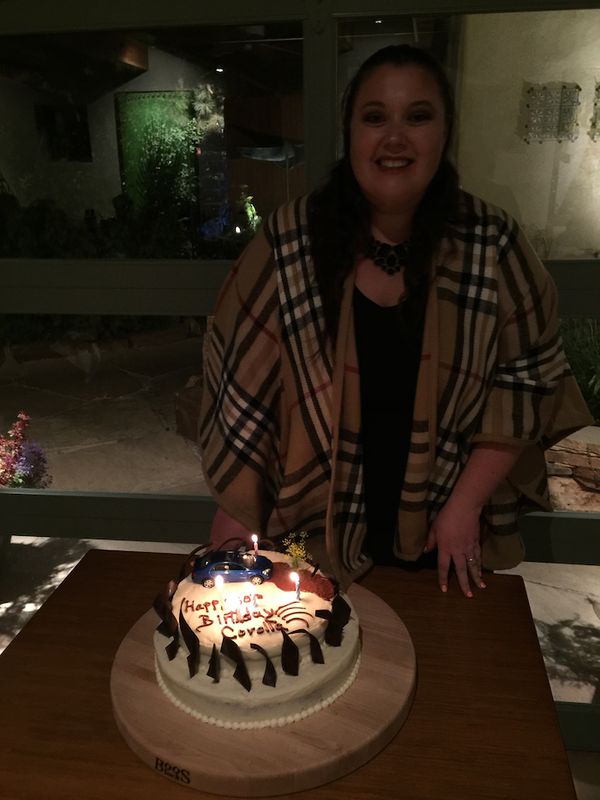 It was such a great birthday party! 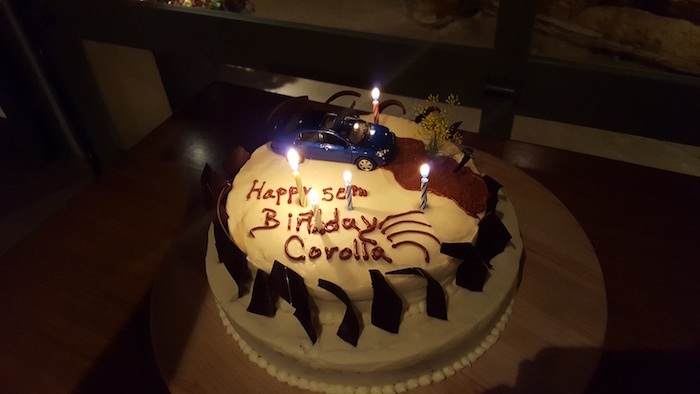 We wined, dined, and wished the Toyota Corolla a happy 50th birthday and enjoyed spending time with everyone who came on the trip with us. 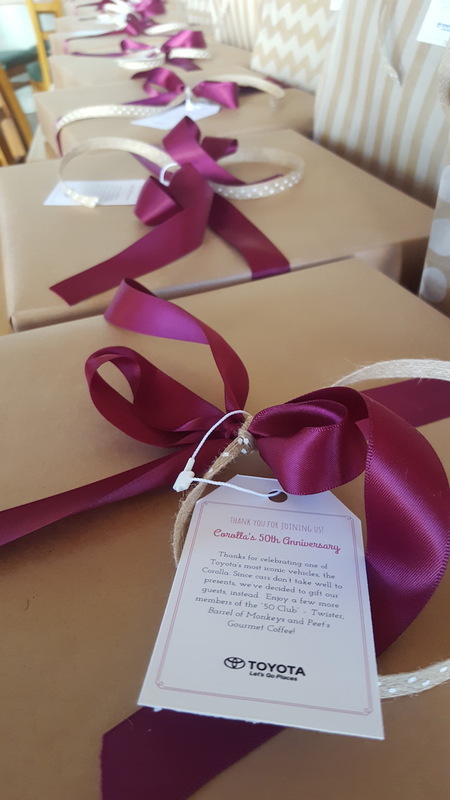 As the night settled in, we opened up our presents from the Toyota crew--all of the presents we took home also had celebrated their own 50th anniversaries, and we really loved that! After a wonderful evening, we headed back to our hotel for our last night in New Mexico. In the morning before breakfast, we all gathered near the lobby outside of our hotel and lined up our Toyota Corollas for a fun group photo! This trip to New Mexico was so memorable! I am so thankful I was able to bring my mom with me as well, since riding a hot air balloon was one of the last items she needed to cross off of her "bucket list." 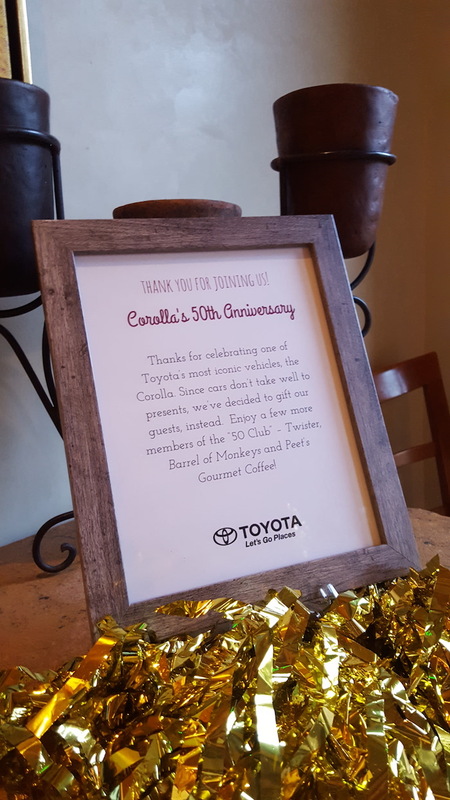 I am also so beyond grateful that Toyota invited me to share this journey with them, and that they helped us have such a wonderful time while we all celebrated the continued success of the Toyota Corolla and its 50th Anniversary! 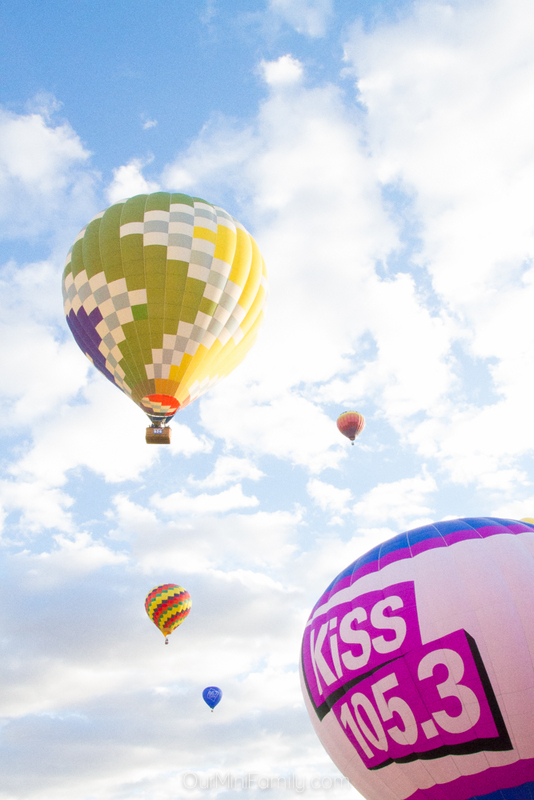 Add "ride a hot air balloon" to your bucket list, too! 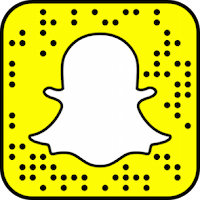 Save this image to Pinterest to your go-to travel board! Thank you to Toyota for hooking us up with a sweet ride all week long, and for inviting us to share these wonderful experiences with them! 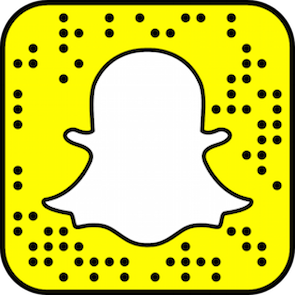 We're very grateful that we had the opportunity to enjoy this fun perk in exchange for sharing our experience on our blog and social media! Wow, I wish I could have seen this. It looks incredible! I love all of the colors. Truly a beautiful site to see, I'm sure! It was SO incredible!! Such a wonderful trip! Wow, looks totally magical. Adding this to my bucket list! Magical indeed! Thanks for your comment, Rachel! Oh wow it looks like such an amazing time. I've never seen hot air balloons in person. I'd love to ride in one! It's such a sight to see! 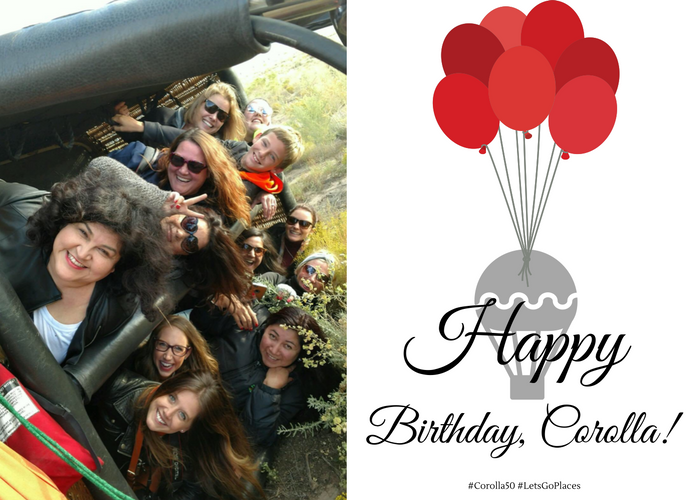 All of the balloons together is really magical--it took my breath away a few times to be honest! This is so cool! 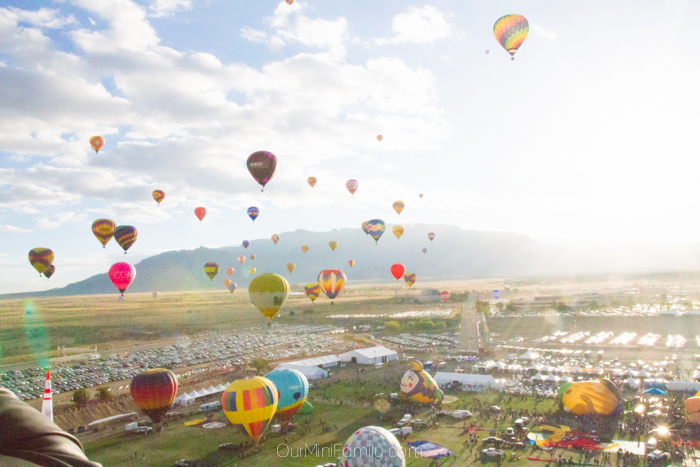 Going to a hot air balloon fiesta is on my bucket list!!! Seems like such a beautiful thing to experience and photograph too. Love it! Thank you so much!! 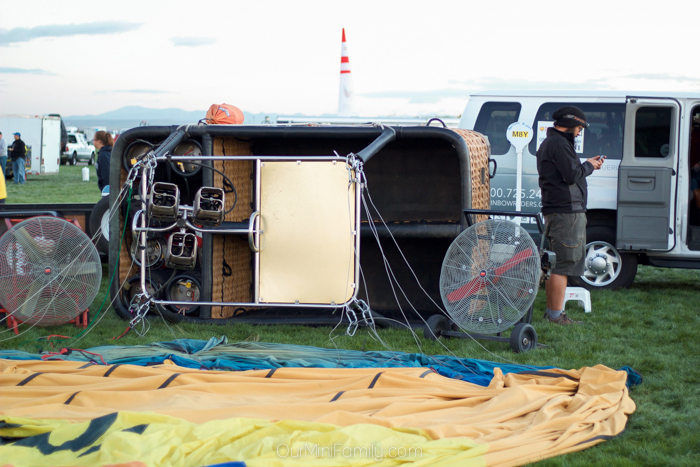 I was a little bit scared when they were inflating the balloon, but my fear turned into excitement really quickly! Oh I have always wanted to go! Looks fun!!! Thank you, Nicole! That is awesome you are in Phoenix, too!